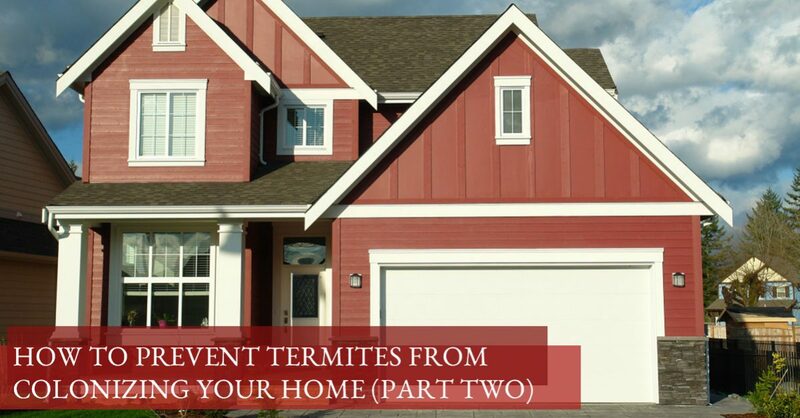 In part one of this series, we looked at measures you can take to keep termites from colonizing in your yard, and how some landscaping features such as mulch can be harmful to your home as they draw in termites. A big portion was spent on the mulch conundrum so be sure to read it if you missed it. If you suspect termites, it’s important to act quickly and call for professional termite services. At Arizona Termite Specialists, we cater to the Phoenix region to completely alleviate your termite issue. Where many other pest control companies fall short, we address all colonies so you can rest assured that the problem has been dealt with. Join us in today’s post as we talk even more about mulch and other landscaping tips to use to avoid inviting in termites. Does mulch draw in termites? Many people think that because termites are lovers of wood, mulch hones in their senses and draws them in. While this is partially true, it’s not necessarily the mulch drawing them in, but ground cover they can use and hide out in until they invade your home! Because termites surface from the ground up, the mulch is perfect for them to wait around in before they make their move. Mulch also harbors a beautiful oasis of moisture after the sprinklers have been turned on or a lovely summer storm covers it. And we know that termites love moisture, so this place is quickly becoming an ideal environment for termites to move from your yard to your home. How much mulch should be used? How close can mulch come into contact with a wooden structure (deck, porch, pergola, etc)? 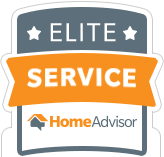 To answer the first question, there are mixed opinions from landscapers and termite exterminators alike. Most, however, agree that mulch should never come into contact with any part of the foundation, while some allow it if the soil has been treated with termiticide. But, there is that old adage, “Better safe than sorry” that you can always follow! If you’re not too concerned, it is recommended that a maximum two-inch mulch layer be spread, but nothing over that. For the second question, many landscape experts recommend at least eight inches of space should be kept between the space of a wooden structure and the mulch layer. We know that termites love wood; however, there is a misconception that only wood-based mulches are an issues, and this is a grave misunderstanding. No matter what type of mulch you use, you won’t discourage the termites from hiding out in it and then making their move and colonizing your home. Is there a mulch that termites don’t like? 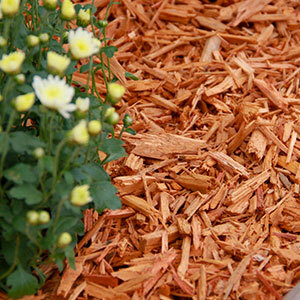 Now that we’ve thoroughly covered mulch, are there any other landscaping tips to take away? Maintain your water features – It’s important to properly clean any ponds or fountains you have on your property. Yes, they look amazing, but they tend to attract all sorts of pests such as termites and mosquitoes. Make sure your water pump is clean and in working order to circulate the water and keep them further away from your home if possible. 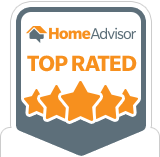 Xeriscape around the perimeter – Xeriscaping is a great option that many Phoenix homeowners have already implemented, and it’s a great addition to keep termites away. Xeriscaping uses drought-resistant and native plants to minimize your need for watering, thus eliminating moisture from your home’s foundation and leaving termites parched. Keep wooden structures at a distance – If at all possible, keep wooden structures such as porches, decks, and pergolas at least two inches from the house, and if you have wood patio furniture also keep that two inches from the house. Termites are insects that thrive in an environment rich in warmth, humidity, and share water and food sources — all the things your backyard already has! Once they set root underground, your home is more susceptible for them to move in and begin colonizing your home. Landscaping such as mulch, water features, and closely built wooden structures can all call to and entice them to colonize. Avoid a home colonization and call us today for expert termite control in Phoenix.